Every good Scotch deserves a special glass, and not the one you use for beer or soda. The right glass looks the part and feels good to hold, but apart from the psychological ways a cool-looking glass can improve your whisky experience, there is also some science supporting the proper glasses to consume your drams from. 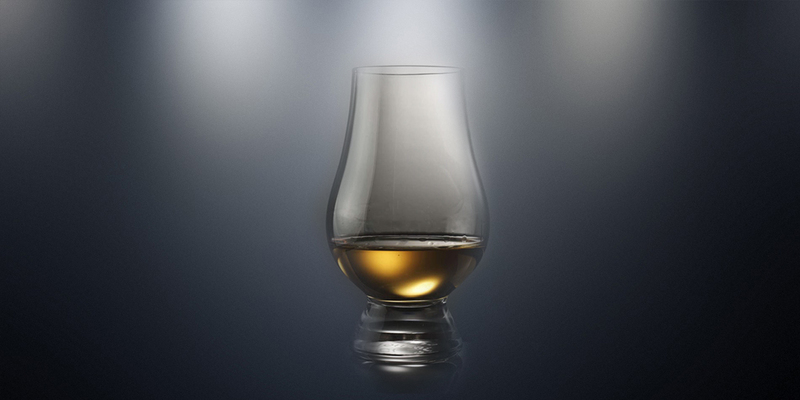 Produced by Glencairn Crystal Ltd, this whisky glass is considered the best of the best. The design was inspired by the glasses used in whisky labs during research, and 2006 saw popularity for the product soar, when the glass won the Queen’s Award for Innovation. The design features a short, sturdy base and is shaped like a tulip. This shape aids in concentrating and capturing the aromas of the whisky, while the narrow top is optimal for directly inhaling them. The narrow top also makes it difficult for ice to be added, so whiskies from the Glencairn glass are best enjoyed neat or with a splash of water. Grab a tumbler if you need the ice! Even though the product is known as the international go-to whisky glass it is quite inexpensive, making it a highly affordable and satisfying option. The Copita nosing glass features a similar tulip shape to the Glencairn glass and therefore offers many of the same benefits. The main difference is that the Copita Nosing glass has a longer stem, similar to a wine glass, which enables drinkers to consume the whisky without warming it in their hands. The glass is light and fragile, so take extra care with it. The stem has been known to snap off on occasion. NEAT, which stands for Naturally Engineered Aroma Technology, is a new and strong entrant into the whisky world. Their glass boasts a wonderful, unique shape which is very comfortable to hold. The middle of the glass tapers to concentrate aromas and the neck widens which, according to NEAT, helps diffuse the harsh alcohol and intense aroma sensations, leaving you with the wanted, subtle aromas but without the whisky’s unpleasant alcohol burn. Long-time glass producer Riedel has created a glass which focuses more on the flavour hitting your lips and tongue, than on the aroma, a focus which greatly differentiates it from most other whisky glasses. The shape of the glass is long and straight, with a slight widening at the neck. This is meant to allow the whisky to “open up” before it reaches the lips. The aromas inhaled from this glass are less concentrated and so, less overwhelming, which may be preferable to some. The glass is light and thin, making it a stylish and delicate container to hold your dram.  This entry was posted in Learn Whisky, Whisky News and tagged whisky, whisky glass. Despite having a long time love for quality spirits, George truly explored his passion for whisky when he became the assistant manager for the BrewDog Japan franchise, owned by Whisk-e, Japan’s biggest Scotch whisky importer, in Tokyo. During his time in Tokyo he sampled countless high-end Scotch whiskies, held numerous beer and whisky tasting events, and built relationships with Whisk-e’s many clients, who are the owners of some of the best whisky and cocktail bars in Tokyo. After his time in Japan, George continued to study whisky and beer production extensively, receiving his Cicerone certificate and becoming an integral part of the team at the Whisky Foundation. He now spends his time travelling, sampling great whiskies, and writing all about them. This article would be more useful if you had pictures of all the glasses. I have a set of Glencairn glasses and am familiar with the Copita glass as it is commonly used at whiskey tastings, but I am not an expert and I am not familiar with the last 2 glasses you describe. Andrew, though I agree with you completely, photos of these are readily available with an internet search. I enjoyed the short article, but there are two glaring omissions, imho. Glencairn’s Canadian glass is an interesting twist on their standard whisky glass and Bowmore’s interpretation that shape is amongst my favorite drinkers. Also prominently missing is a mention of the new Norlan glass. A spectacular double walled execution in the Ridel shape, it, along with the NEAT, performs with the top of this class. As you said, good scotch deserves a good glass. I’m looking at getting my husband a glass as a birthday gift. I love the look of the Glencairn whiskey glass. I did not realize that it was so affordable as well! Thanks for sharing!